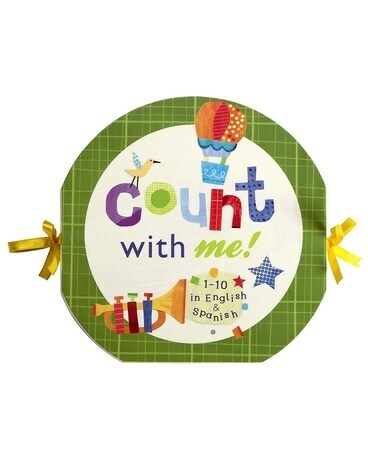 This accordion-style counting book by explores numbers 1 through 10. Jill McDonald's colorful artwork on the front while the reverse side teaches counting in English and Spanish. Folded size: 6.5 x 6.5 x 2-inches, unfolds to 77.75-inches, ribbon ties keep book securely closed.